If you’re an entrepreneur or individual trying to make a name for yourself, you have inevitably done everything you know how to create a brand. Whether you ordered and distributed business cards and flyers, or you told all your friends to tell everyone they know, it’s still not enough. Building a brand, even if it’s yourself, takes precise measures to ensure that you’re putting forth what you intend so that others will perceive it correctly. And, it’s easier said than done. You must be willing to take all of the advice you’re given and utilize it to your advantage so that you can earn the trust of your followers and those you hope to gain as followers. 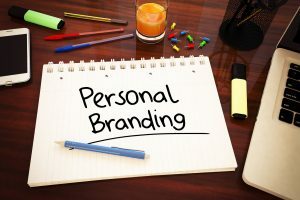 In this article, we’re discussing seven things to avoid in order to successfully brand yourself. Keep reading to learn more. Social media simply is not enough. If you don’t have your own personal website promoting your brand, what do you have? Don’t be caught without a website while branding yourself. Make sure your content is full and creative, no matter what you’re presenting. People count on your professional reputation for depth. Don’t be superficial when you can avoid it. Stay away from phrases that liken yourself to a guru, pioneer, visionary, or other such nouns. Others may refer to you as a thought leader, but you should never refer to yourself this way. It’s unprofessional and it will cause audiences to shy away from your content. Reality is that nobody is perfect. Don’t ruin your personal brand by presenting yourself as perfect. Whether it’s airbrushing for a TV program or stressing about your hair for a presentation, don’t worry too much about it. People will respect you for your presentation content, not your looks. Make sure the content you pass on to your followers is original and unique. In order to be authentic all of the time, you can’t even once use someone else’s ideas as your own. Using “I” too much can send off inappropriate signals such that you think too much of yourself. On the other hand, under using “I” might make others think less of you. Moderately referring to yourself in the first person in conversation will ensure that others believe in you. Don’t care too much about your brand. Make sure to focus on your organization too. If you are the brand that you’re creating for yourself it’s still a good idea not to stress too much about it. Just be yourself. Building a personal brand is all about being honest and reputable. Don’t damage your reputation by doing too much of the wrong thing, or nothing at all. You can be successful and brand yourself according to what you have built and believing in these simple tips. Remember, too, that the quality of your exposure is more important than the quantity of your exposure. Your content marketing campaigns should employ authentic details that are substantive enough to make a difference. Using the internet and social media alone will not uphold your reputation. If you’re ready to brand yourself, or if you still have questions, contact us! We can help you get reviews and results.